Following the release of “Love Me” last month, The 1975 have graced fans with all the details surrounding their highly-anticipated new record, I Like It When You Sleep, For You Are So Beautiful Yet So Unaware Of It. According to the Manchester four-piece, the follow-up to their 2013 debut will boast a whopping 17 new tracks, and will arrive on February 26 via Dirty Hit/Polydor. Pre-orders are live now. In anticipation of their second full-length effort, the band will spend the majority of this month traversing the UK. If you’d like to get in on the action, a full listing of upcoming tour stops can be found after the break. 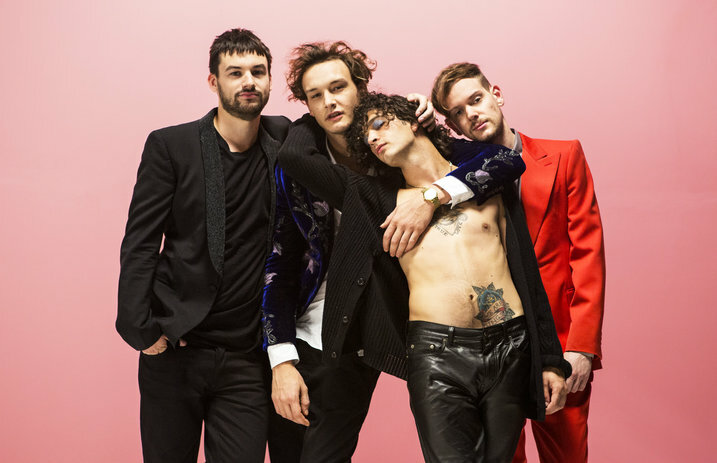 While we’re still undecided on the album’s somewhat creepy title, we here at UTG couldn’t be more jacked to smell what The 1975 have been cooking. Sound off below if you’re equally excited.